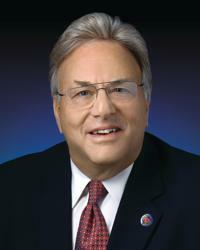 Stuart F. Seides, MD, FACP, FACC, FAHA, FSCAI is the physician chief executive of MedStar Heart & Vascular Institute (MHVI), one of the highest volume heart and vascular care programs in the United States. He is responsible for all clinical services and administrative operations related to heart and vascular care delivered by MedStar Health and its affiliated physicians across the MedStar system in both the Washington and Baltimore regions, including the unique alliance between MHVI and the Cleveland Clinic Foundation. Our hospitals include MedStar Washington Hospital Center, MedStar Georgetown University Hospital, MedStar Union Memorial Hospital and 7 others. Dr. Seides is a professor of Medicine at Georgetown. Dr. Seides has been practicing Cardiology in Washington, D.C., since 1978, following his tenure as a senior investigator at the National Heart, Lung, and Blood Institute at the National Institutes of Health. He is the founder and former president of (MedStar) Cardiology Associates, LLC, the area's largest full-service cardiovascular group, now a wholly-owned subsidiary of MedStar Health. Dr. Seides' major clinical activities include consultative and interventional cardiology, including the initiation of the coronary angioplasty program at MWHC that has become one of the nation's largest. He is former president and board chairman of the Medical Society of the District of Columbia, a member of the Board of Governors of the American College of cardiology, and served two terms as president of the American Heart Association, Nation's Capital Affiliate (NCA). Dr. Seides lectures extensively. He is the co-author of a standard textbook in the field of cardiac electrophysiology and the author of numerous journal articles encompassing the broad spectrum of cardiovascular medicine. He is regularly asked to comment on medical matters by the national print and broadcast media. Dr. Seides recommended Chief Philanthropy Officer Richard Kief receive a cardiac CT, which saved ultimately saved his life. Read more in the Summer 2015 edition of Center Scope.